Bill Gates Chilling Warnings: "The Doomsday Scenarios Are Real"
- What Does 'Depopulation Bill Gates' Know That We Don't Know? The story over at the Daily Mail on Saturday morning reports that according to Microsoft founder Bill Gates, "biological terrorism could kill hundreds of millions of people as genetic engineering unleashes terrifying new weapons". Warning that government's aren't doing enough to prepare for bioterrorism and he absolutely expects a devastating new pandemic to strike within 15 years, the Daily Mail story doesn't report anything upon the unholy alliance unearthed by Wikileaks between Bill Gates, Monsanto and the US government as Mercola reported back in 2011. 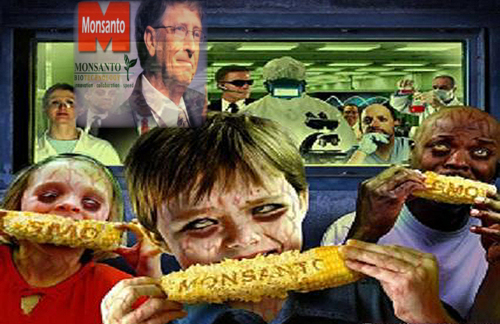 For those who are unaware, Gates is one of the largest shareholders in Monsanto, considered to be the most evil corporation in the world. So, what does he know that we don't know? We should remember that before Monsanto got into the food business, they were highly involved in the 'death and war' business. “It’s hard to get your mind around a catastrophe of that scale, but it happened not that long ago. In 1918, a particularly virulent and deadly strain of flu killed between 50 million and 100 million people. According to this August 2016 story by S.D. Wells over at Natural News, Adolf Hitler too had a depopulation agenda that he kept under wraps until so many millions disappeared that the world began to figure out what was happening there. If Bill Gates, George Soros and the globalists really do have a depopulation agenda, should we really expect them to outright announce it? Well, surprisingly, as we read from Natural News, Gates already has done so. What if Hitler had come right out and announced his plan to create a master race and eliminate everyone else by shooting them in the head with two bullets, starving them to death, or putting them in gas chambers? Well, Bill Gates and George Soros are also all about depopulation, but there's no way they're going to come right out and say it ... or has Bill already done so? What if you found out right now, by video, that Bill Gates, along with his partner in crime, are planning on reducing the world's population by about 5 billion over the next decade, and that they plan on using vaccines and genetically modified food to do so? The video actually showing Gates talking about depopulation can be seen as part of the final video below. 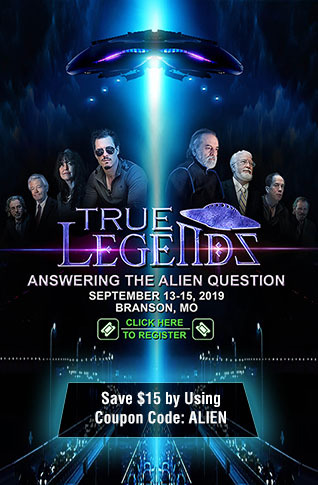 In the new story over at Glitch News that Steve Quayle linked to on his website on Saturday morning they report that the entire global food supply will be contaminated by genetically modified organisms used for pest control according to scientists. Warning us that organic farms are at risk of being contaminated as well due to what is being called a 'mass-release of genetically modified insects', Blacklisted News recently reported these flying GMO'd 'carriers of death' could disrupt and endanger the international food supply and trade. Why should we be concerned about GMO'd insects being released across the country? As their story reports, flying insects being released into the air will be able to go just about anywhere and nobody will be able to control their spread. The next generation of genetically modified organisms may not involve produce at all. It appears that the next phase of GMOs will involve living things: insects. Genetically altered bugs could indeed be coming to an environment near you. Experimental releases of GM insects were already approved in 2014, but now there are growing concerns over what such bugs mean for the food supply — especially organic foods. Can organic food grown with or near GM bugs still be considered “organic,” or is that one bridge too far? Will organic produce grown in the United States still be able to be exported to countries like Europe if these GM bugs have developed on them — or will organic produce growers be forced to forfeit their organic label? Is all of this talk of a 'depopulation agenda' and 'eugenics' simply 'fake news'? As the Natural Society reported back in 2014, listening to Gates own words allows us to hear the 'tip of the iceberg'. 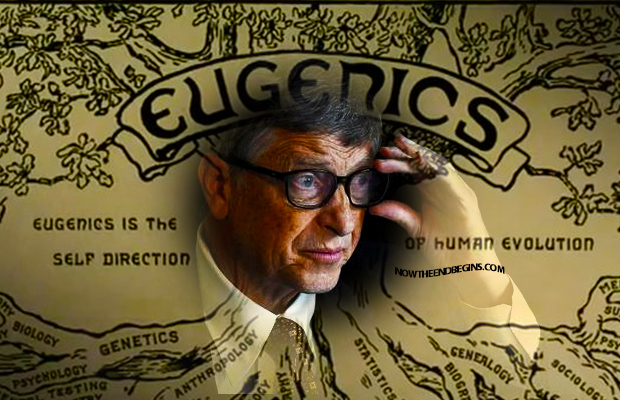 Bill Gates' father, William H. Gates Sr., has long been involved with the eugenics group Planned Parenthood, a rebranded organization birthed out of the American Eugenics Society. In a 2003 interview with PBS' Bill Moyers, Bill Gates admitted that his father used to be the head of Planned Parenthood, which was founded on the concept that most human beings are just "reckless breeders" and "human weeds" in need of culling. Gates also admitted during the interview that his family's involvement in reproductive issues throughout the years has been extensive, referencing his own prior adherence to the beliefs of eugenicist Thomas Robert Malthus, who believed that populations of the world need to be controlled through reproductive restrictions. Though Gates claims he now holds a different view, it appears as though his foundation's initiatives are just a modified Malthusian approach that much more discreetly reduces populations through vaccines and GMOs. 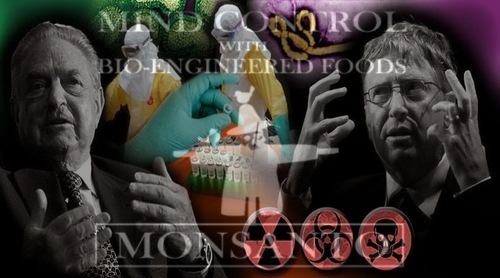 In the first video below we hear directly from Bill Gates and his latest warnings of a deadly pandemic likely in our future while in the 2nd video, End Times Prophecy News breaks down Gates warning and his ties to the depopulation agenda beginning at the 2 minute 5 second mark. In the final video below, an excellent compilation video showing Gates numerous times, we learn all about Gates ties to the depopulation agenda from his very own lips and words. Giving us another reason to prepare ourselves for the long haul, it's long been warned that food has been used as a weapon. And whether that be 'the elite' holding back food from the rest of the world to create a manufactured food crisis or Monsanto and Gates genetically altering the make-up of that food, turning it into a cancer-causing poison, we should pay attention when Gates talks. 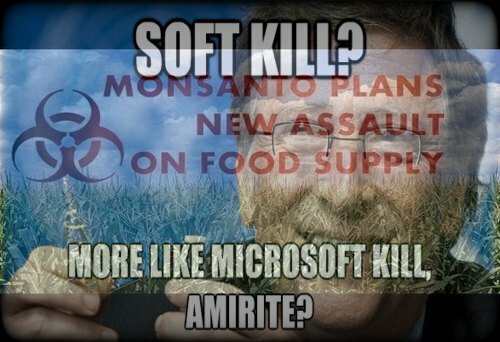 Reading between his lines tells us much more than he wants us to know as heard in the final video below: "The Depopulation Agenda: Bill Gates Plans To Kill You".